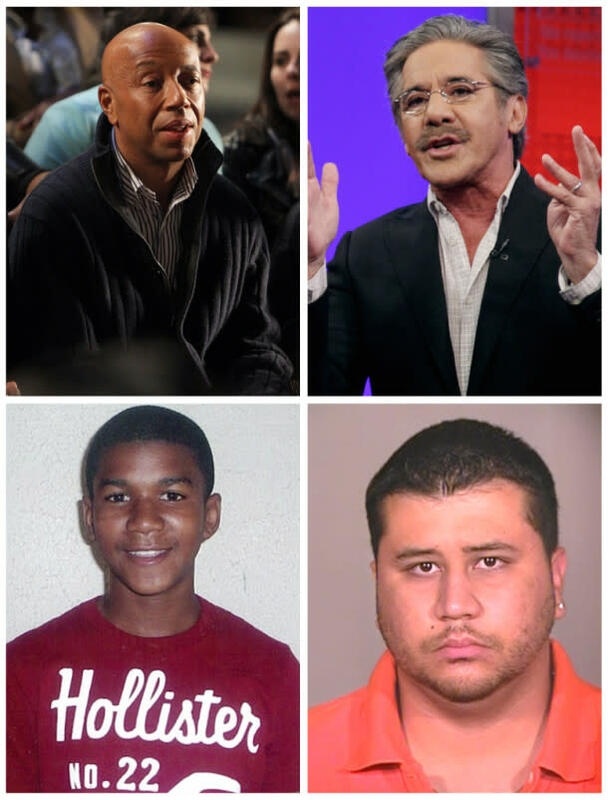 Geraldo Rivera offered something of an apology on Tuesday for controversial comments he made last week about the hooded sweatshirt Trayvon Martin was wearing when the unarmed 17-year-old was shot and killed by neighborhood watchman George Zimmerman in Sanford, Fla., last month. I apologize to anyone offended by what one prominent black conservative called my, "very practical and potentially life-saving campaign urging black and Hispanic parents not to let their children go around wearing hoodies." But here's the rub, according to my legion of critics, by putting responsibility on what kids wear instead of how people react to them I have obscured the main point that someone shot and killed an unarmed teenager, and I began today's program with a sincere and heartfelt apology to anyone I may have offended by my crusade to warn minority families of the danger to their young sons inherent in gangsta style clothing; like hoodies. Over the last week, I've been buried under an avalanche of rage and the ridicule; essentially saying that I was blaming Trayvon Martin for his own death. I wasn't and I don't. And, I remain absolutely convinced of what I said about asking for trouble. There's trouble enough for minority boys and young men not to provoke mad responses from paranoid jerk offs. But that doesn't change what many, including members of my own family and friends believe. That I have obscured or diverted attention from the principal fact, which is that an unarmed 17-year old was shot dead by a man who was never seriously investigated by local police. And if that is true, I apologize. "I apologize for hurting people's feelings," Rivera said on his radio show Tuesday afternoon. "I don't back down from my message ... Don't be a 911 call waiting to happen." Russell Simmons, who called Rivera his longtime friend, promptly ripped the apology. "Geraldo, your apology is bull----!" Simmons wrote on GlobalGrind.com. "Your apology is nothing but a defense of a racist, backward thing you already said. And I am a yogi, and I generally don't speak like this, but I have to say it like it is. It is a non-apology apology that continues to blame the victim for their appearance." Although a black preacher may warn his congregation or a black father may tell his son that we live in a society where they can be singled out, where they're going to have to defend themselves against the racism that exists in America, it is not for you to go out on the most Conservative news network and say something insensitive and enabling on a show that you know promotes the most negative stereotypes. To go in front of them is dramatically different than a black or Latino father telling his son to "watch out, the world is still full of racism and you're at risk." A lot of the prominent Fox contributors of color make people comfortable with their insensitive attitudes; don't be one of them. You're always playing your stripes of having been an activist, which has inspired me throughout the years, don't now try to play to cheap seats. It's like telling women not to wear skirts because they could get raped. That's what you just did. It's freaking horrible. It's inexcusable. And you're my friend, my friend for many years. I have a great amount of respect for you, but zero respect for your apology and for what you said.